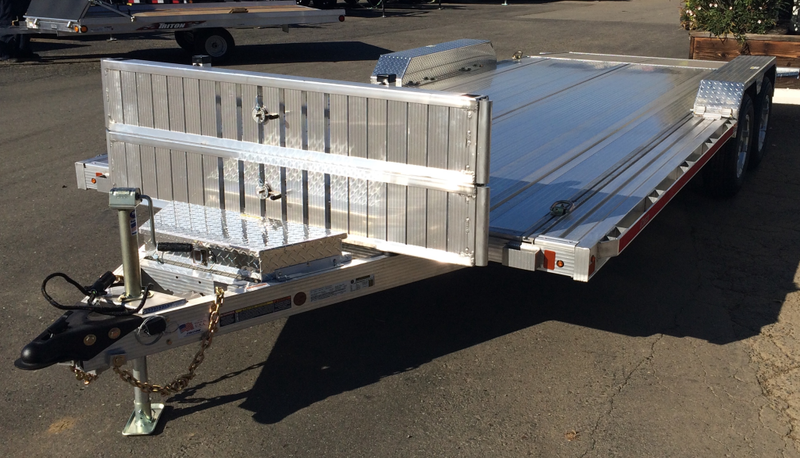 Gross Weight Rating 7,500 lbs. 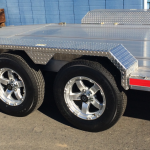 This is the car hauler you’ve been dreaming of! 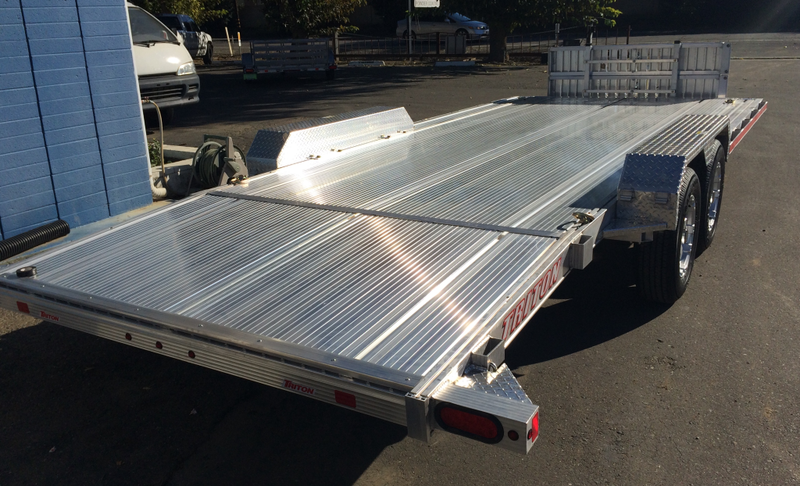 Triton’s deluxe all-aluminum car hauler trailer is the industry’s best car hauler. 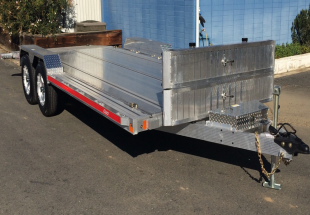 This trailer only weighs 1,600 lbs. 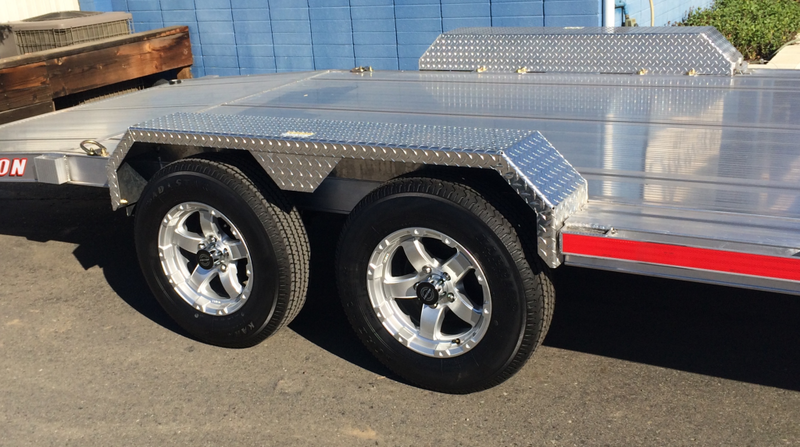 but can haul cars up to 5,900 lbs. 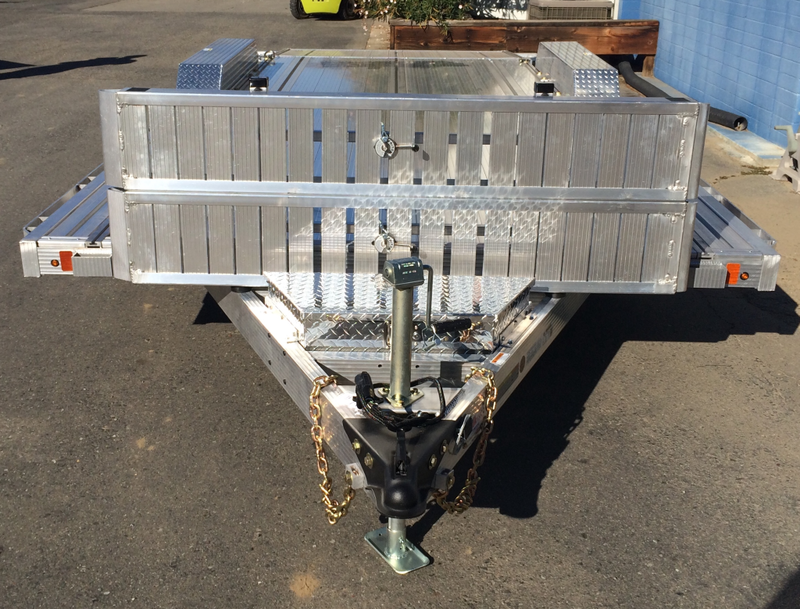 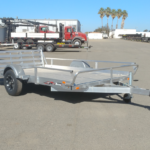 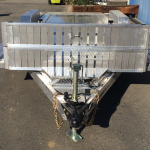 This car hauler is loaded with lots of great features including: an extruded aluminum deck with full length Quickslide tie-down channels, a dovetail built into rear section of deck, 6ft long loading ramps which store on front and act as a front stone guard, sliding D-rings (4ea), a removable LH fender, lockable front tongue box, torsion axles, electric brakes, LED lights, rub rail and stake pockets along both sides, aluminum wheels, radial tires, rear stabilizer jacks and much more. 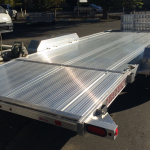 These car haulers have a very unique deck design that is a full 8-1/2 ft. wide in front of the fenders. 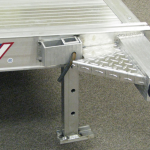 The ramps can be used on the back and both sides, allowing side loading of ATVs, motorcycles, and other small vehicles in the front section. 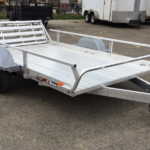 Not only can you carry a car, jeep, or pickup truck, but many people use these trailers to carry a Side-by-Side and a couple ATVs or motorcycles side-loaded on the front. 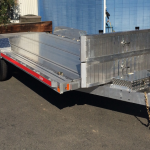 This unit has a 20ft long deck. 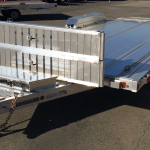 These car haulers are also available in 18ft and 22ft lengths and in a 10,000 lb. 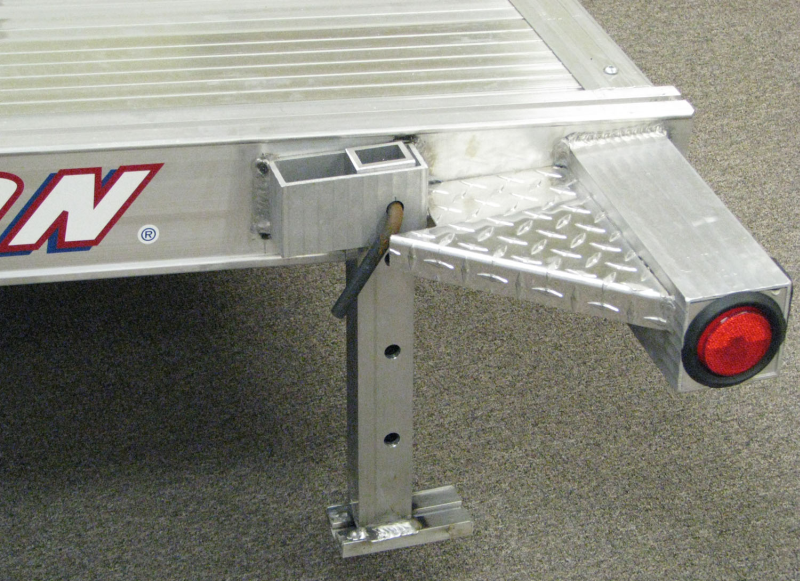 gross weight rated version. 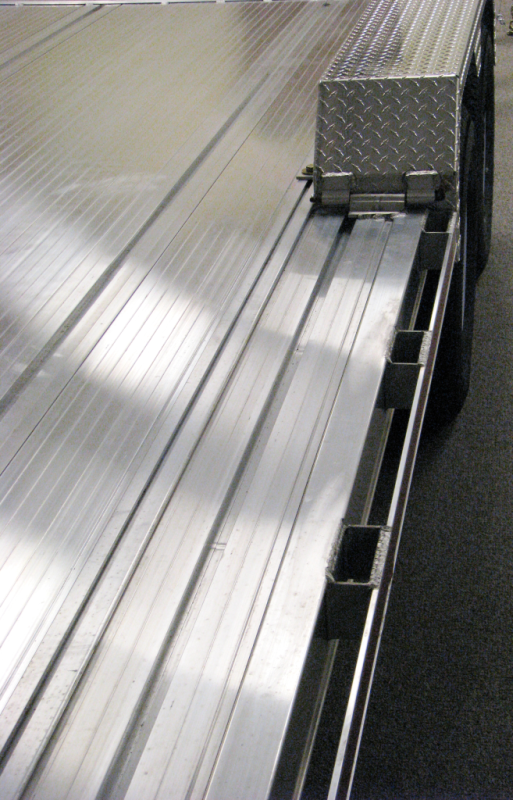 Gross weight rating of 7,500 lbs. 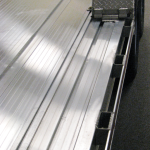 Payload capacity of 5,900 lbs.